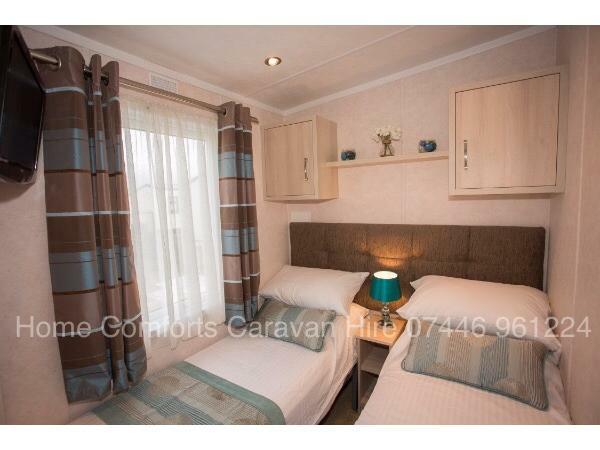 We own a selection of other caravans, all available for hire on Golden Gate - please see Ref: 6959, 1835, 846, 2465, 2617, 3145, 3151, 1692, 2463, 2964, 451 and 1551 on this website for further details. Check-in from 2.30pm check-out by 11.30am. Thank you for enquiring about our Pemberton Park Lane, please fill in the requested information. 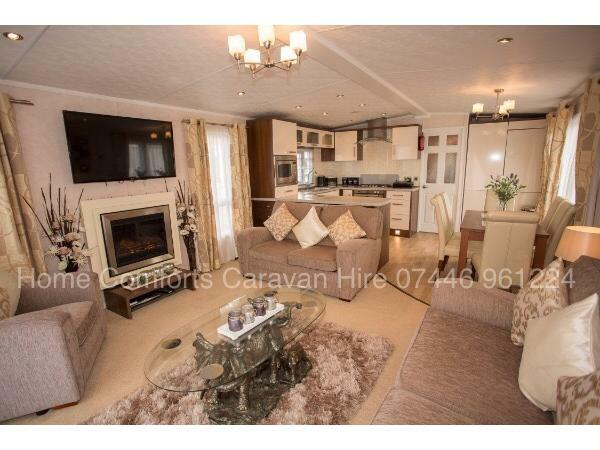 The luxurious 3 bedroom Pemberton Park Lane is an exceptionally spacious 42ft x 14.5ft platinum plus model. 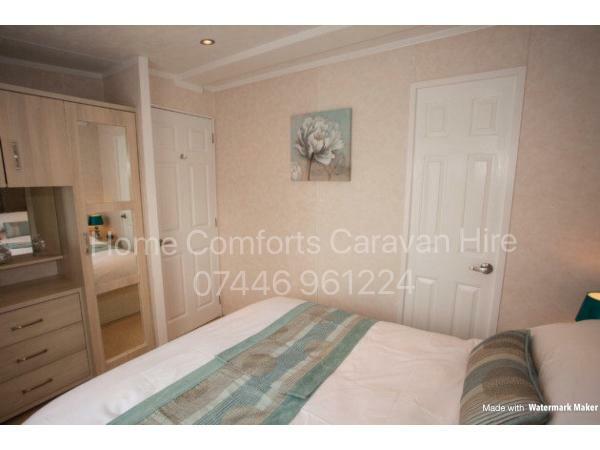 It has full gas central heating, double glazing and has been furnished to our usual very high standards. 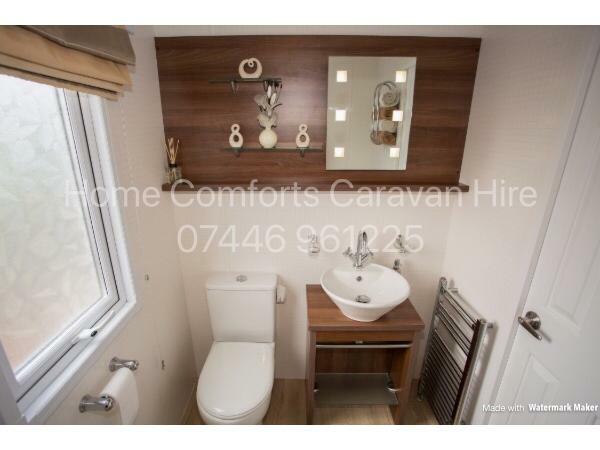 It is sited on a prime front row plot and has a wrap around decking plus parking bay alongside. 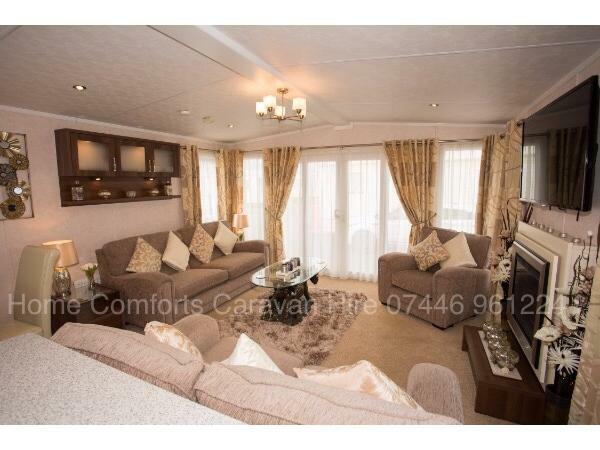 The stylish lounge has a 3 seater sofa, a 2 seater sofa, plus armchair. A 50in wall mounted TV with built-in freeview, Sky HD connection (you just need to bring your own Skybox). 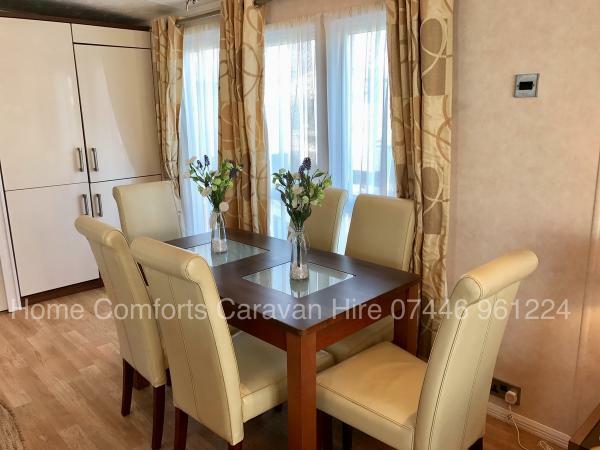 The generous size kitchen has an abundance of storage and work space, it's well equipped with a full size integrated fridge/freezer, washing machine, dishwasher and microwave. Cooker, toaster, kettle, slow cooker, 3 tier steamer, coffee machine plus plenty of kitchenware. 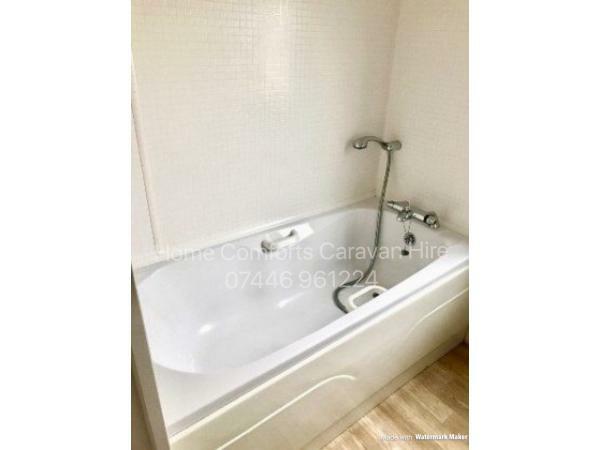 The master bedroom has a double size bed & en-suite bathroom comprising of a large double size shower, toilet, washbasin & heated towelrail. 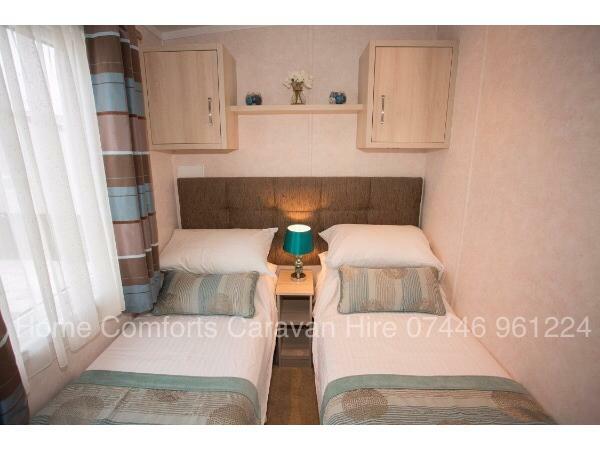 There are 2 twin bedrooms both with single beds. 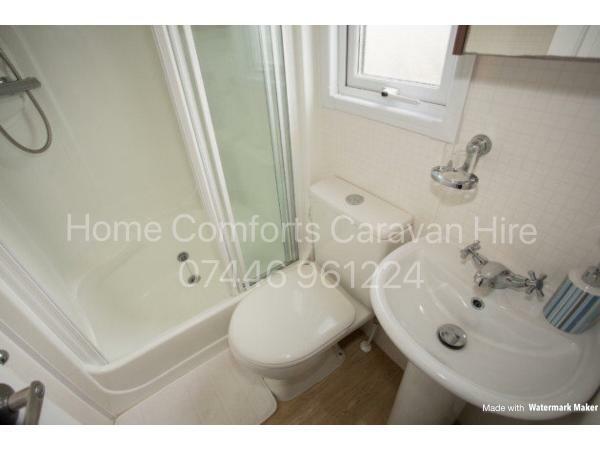 All 3 bedrooms have tv’s & plenty of storage. Duvets and pillows are provided. Bed linen is not included in with the hire price but can be supplied for a small fee. The Park Lane sleeps 6 people. The Golden Gate site has undergone major redevelopment work during 2018, it has a new clubhouse providing entertainment suitable for all the family. There's also a new kids zone with 3 story soft play area & slides, kids club providing various activities throughout school holidays, arcade, ice cream & milkshake parlour plus a pizza & snack bar. An adventure playground, zip wire, all weather pitch, grocery store and chip shop. 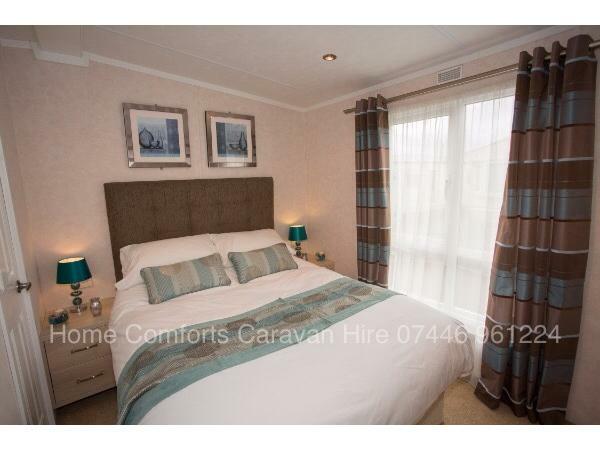 Perfectly located it's within walking distance of all local attractions - shops, gift shops & markets including one of North Wales largest Tir Prince with over 400 stalls, family friendly pubs, clubs, restaurants, arcades & go-karts. A beautiful sandy beach that extends for miles. Asda and Tesco supermarkets are a short drive away. 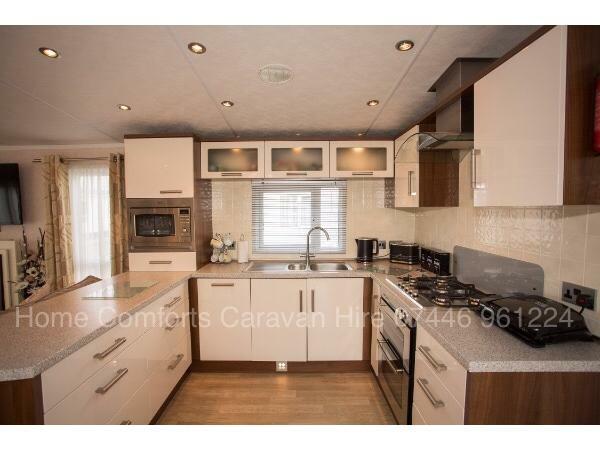 there's plenty of food outlets and takeaways most of which will deliver your order to your caravan. There are 2 funfair's where an unlimited rides wristband costs from just £9 and so much more that will keep everyone happy and entertained during your holiday in beautiful North Wales. 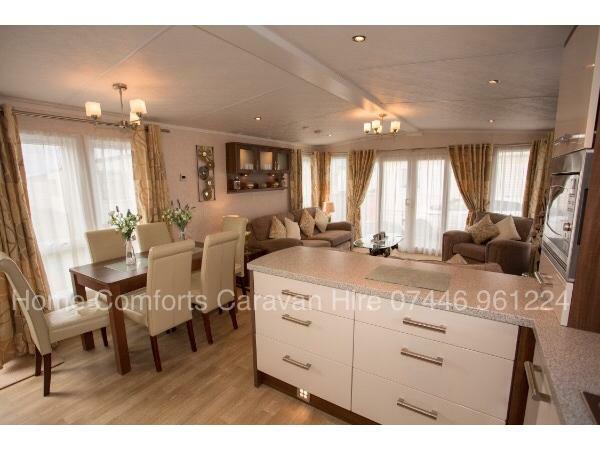 Amazing caravan, great for small parties or gatherings, very homely! Thanks for having us!